A MAN has died in a road traffic accident today in southern Spain. 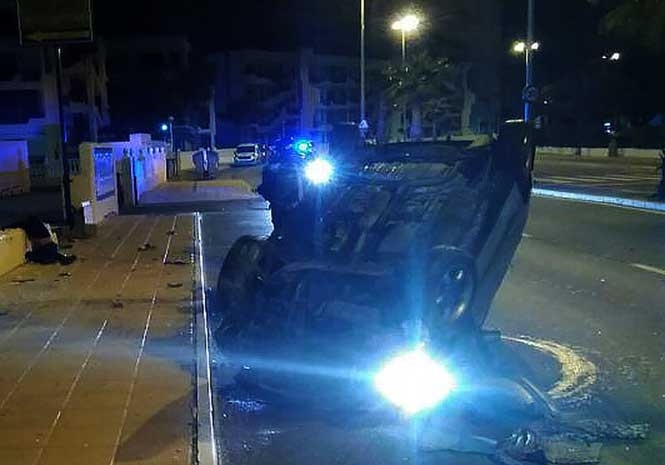 The fatal crash, that didn’t involve any other vehicles, happened in La Manga del Mar Menor in the municipality of San Javier. The 112 Murcia emergency coordination centre said they received a call at 5am. Local Police from San Javier, Guardia Civil, firefighters and paramedics attended the accident but couldn’t do anything to save the man, aged about 30-years-old.